What do I do with the daily “Protect My Email” notices I receive? The “Barracuda” is the name of the anti-spam device installed on most NetTech email accounts. When the system receives emails that it is not sure if they are spam or not, it will “quarantine” them, and send you a notice of those emails, once in the morning, and once in the late afternoon. 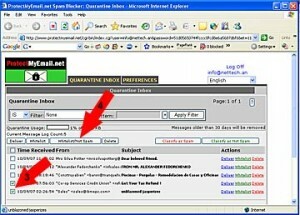 You should not ignore these notices, as they may contain valid emails for you. We suggest you work these emails (it only takes about a minute) as follows, so as to better “train” your individual Barracuda account. Be sure to properly work the quarantine reports as you get them. 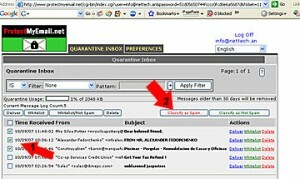 Do this by clicking on the “click here” link at the bottom of your email quarantine report. You may also go to your Preferences once in your Quarantine browser, and whitelist specific senders by entering in their email addresses. This will cause their mail to be immediately delivered for the future.